This trip along Liguria's beautiful Riviera di Levante begins in the little village of San Michele di Pagana and the beach of Prelo, on Punta Pagana. Here, rising up amidst the pines and holm oaks, the recently restored Saracen tower is a reminder of the area's turbulent past - when the Ligurian coast came under frequent attack from the sea. 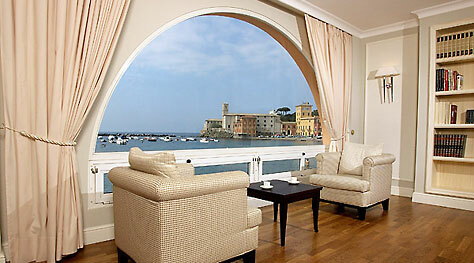 Guarded by a medieval castle, our next stop, Rapallo, is perhaps most famous for its lace making tradition. Rapallo's lace museum, il Museo del Merletto, in Villa Tigullio, holds more than 1400 handmade pieces of work, dating from the 16th to the 20th century. Perched on top of the hills behind Rapallo and boasting magnificent views of Rapallo and as far as Portofino, the 16th century Sanctuario di Montallegro is best reached by cable car. 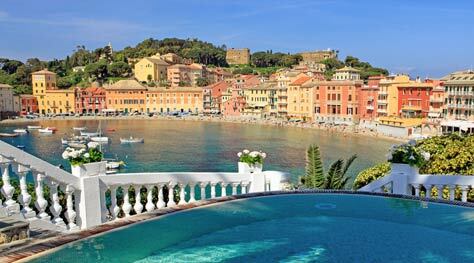 Famous for its textile industry, the seaside town of Zoagli is dominated by its' Duca Canevaro Castle. Like Rapallo and Zoagli, Chiavari has been known since medieval times for its craftwork, not only lacemaking and weaving but joinery too. It was here in 1795 that the Descalzi brothers opened their famous furniture workshop. In 1807 Gaetano Descalzi designed a light, elegant, yet solid, cherrywood chair which came to be known as the "Chiavarine". 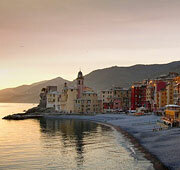 From Chiavari, continue south to reach Lavagna, one of the largest tourist ports in the Mediterranean and famous for its long, straight beach. Each year the town recreates the medieval festival which celebrated the wedding of Opizzo Fieschi to Bianca Bianchi, during which an enormous cake is distributed amongst the crowd. The influence of the Fieschi family reached nearby Cogorno too. 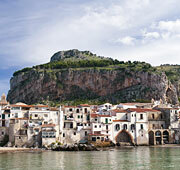 This little town is home to the most important Roman Gothic building on the Riviera - the Basilica San Salvatore. Sinimbaldo Fieschi, Pope Innocent IV, was instrumental in much of the construction and decoration of this Basilica, which has a white marble and slate façade and an immense rose window. 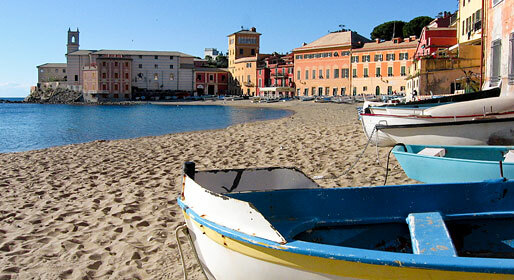 Back on the Via Aurelia, you travel on to Sestri Levante, a fishing village with beautiful golden beaches, which have made it a well known tourist destination. The heart of the town is built on an island, today connected to the mainland. East of Sestri Levante, the Punta Manara Regional Park offers a fabulous display of Mediterranean flora, olive groves and stunning seascapes. The park is crossed by well marked hiking trails. The route which leads from Sestri Levante - the Gita Sestri Levante-Punta Manara - is particularly beautiful, with magnificent views of the Gulf of Silence and Sestri. The sailors of both Sestri Levante and nearby Riva Trigoso have long been known for their anchovy catch - in fact in the 19th century the first net for anchovy fishing was used here. 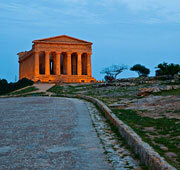 The sailors created a dish that has become a Ligurian speciality - the "Bagnum". A cheap, but sustaining meal, Bagnum was made using ingredients which were to hand on board the fishing boats - oil, tomatoes, bread and (of course) anchovies. In July, Riva Trigoso hosts the Sagra del Bagnum - with music, fireworks and free Bagnum for everyone!